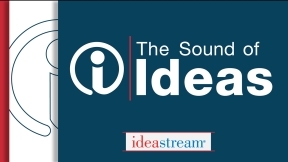 Every weekday at 9:00 AM (EST), The Sound of Ideas reports the news, explains the news, and sometimes makes news. The Cleveland Press Club awarded it "Best Radio Show" in Ohio and thousands daily find it to be an indispensable source of information about what's most important to Northeast Ohioans. The Sound of Ideas airs live on 90.3 WCPN in Cleveland, on the Ohio Channel and at www.ohiochannel.org.